Sr. Genevieve writes with a vivid and poetic imagination. Drawing on her life of monastic prayer and the practice of Lectio Divina—a life saturated in Scripture—she pulls us deeply into these stories. Sauntering through this holy ground with her we enter small villages and busy towns, sheepfolds and gardens, a nomad's tent and a rich man's house, a stable in Bethlehem and the great temple in Jerusalem. Most of all we encounter the transforming message and mercy of God in Jesus Christ. Genevieve Glen, OSB, is a contemplative nun of the Abbey of St. Walburga in northern Colorado. She is a retreat director, composer of hymn texts, poet, and essayist. She writes regularly on prayer and Scripture for Give Us This Day. 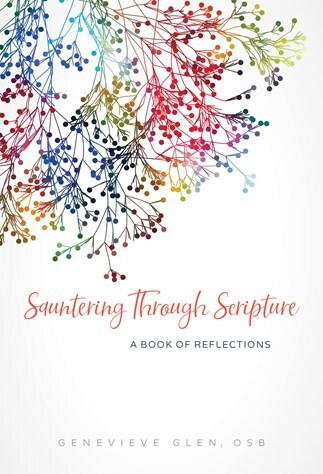 This gentle book encourages us to encounter the people and stories of the Bible in our own lives. Glen has a gift for making us see even familiar stories with fresh eyes. As a monastic Glen is immersed in scripture, day in and day out, and this book strikes me as one fruit of that life. Glen invites us all to share in the wisdom she's gleaned. This may be the most delightful journey through Scripture I have ever taken. Sr. Genevieve brings us right into the dusty sheep pens, windy olive groves, and starry, starry nights of ancient Palestine, and then, with great warmth and laser-like insight, offers us the kind of practical spiritual wisdom we have long been seeking and never will forget.